Automatisa was founded in 2001 in Ecossistema de Inovação de Florianópolis, Santa Catarina, Brazil, and it was awarded by FINEP and ANPROTEC for innovative development. The company was a pioneer and for its proficiency and skills, Automatisa became a leader in development, manufacturing, trading and technical after sales of low and medium power machines for laser cutting, engraving, marking and micromachining, besides special applications in Latin America. Along with a highly skilled staff, with experienced engineers and technicians of automation, computing, mechanics, electronics, electric and material engineering, Automatisa has gathering Brazilian awards and international recognition due to its innovative features, besides having innovative patents and utility models. Competence, technical skills and service are recognized as the main features in the segments where the company plays as automotive, metal mechanic, leather - footwear, labels, clothing, visual communication and gifts. The core business of the company is commercial technical work. 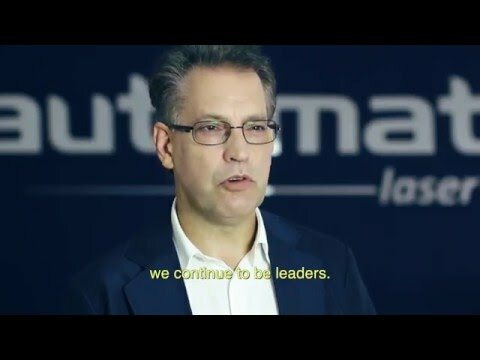 Automatisa takes part in the main bodies of the industrial class and technology in Brazil, and fosters political engagement and helps the sustainable development in the country. Industrial solutions for digital laser cutting and engraving. Development, manufacturing and marketing of industrial solutions for laser cutting and engraving. Management of skills and generating values for customers, shareholders, collaborators, suppliers and society in a green way. LOVE FOR AUTOMATISA PROJECT: we understand love as loyalty and care to the own work. We understand project as a reality that renews steadily during our historic process. RESPONSIBILITY: promptness to the project and to the task. PROFICIENCY: knowledge, knowing how to do it and the willing to do it. Reaching the expected result efficiently and better than the competitors. PROFESSIONALISM: being perfect at work, strict and serious. MERITOCRACY: gain recognition by merits. Every employee is selected and promoted in accordance to his/ her achievement and attainment; the personal merit determines development. Intelligent LASER cutting of lace for clothing with less waste of material, maximum quality and impeccable finishing.